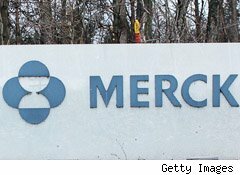 Merck (MRK), the world's second largest drugmaker, said Thursday it plans to close eight manufacturing plants and eight research facilities around the world in its bid to save $3.5 billion a year. The Whitehouse Station, N.J.-based company is also reducing its workforce by 15%, or some 16,000 jobs, it said. The actions are part of a restructuring the company has undertaken following its $41 billion acquisition of rival Schering-Plough in November. In addition to the plant closings, Merck said it will consolidate some offices worldwide, as part of the restructuring begun last December. "Today's announcement is another important step as we successfully integrate our global operations on schedule and move forward with Merck's strategic priorities," said Richard T. Clark, Merck chairman and chief executive. Research facilities targeted for closing during the next two years are in Cambridge, Mass. ; Montreal; Odense, Denmark; Waltrop, Germany; Newhouse, Scotland; and three sites in the Netherlands. Merck's women's health research, now centered in Oss, the Netherlands, will be relocated primarily to the U.S., the company said. Presently, the company intends to cease manufacturing operations in the following locations: Comazzo, Italy; Cacem, Portugal; Azcapotzalco and Coyoacan, Mexico; and Santo Amaro, Brazil. Further, Merck said it intends to sell plants in Miami Lakes, Fla., and Mirador, Argentina. In Singapore, chemical manufacturing will be phased out from an existing Merck plant and shifted to a Schering-Plough facility acquired in the merger, although pharmaceutical manufacturing operations will continue at both plants, Merck said. Following release of the news, Merck shares were up less than 1% in early trading on Wall Street to $35.69 each.